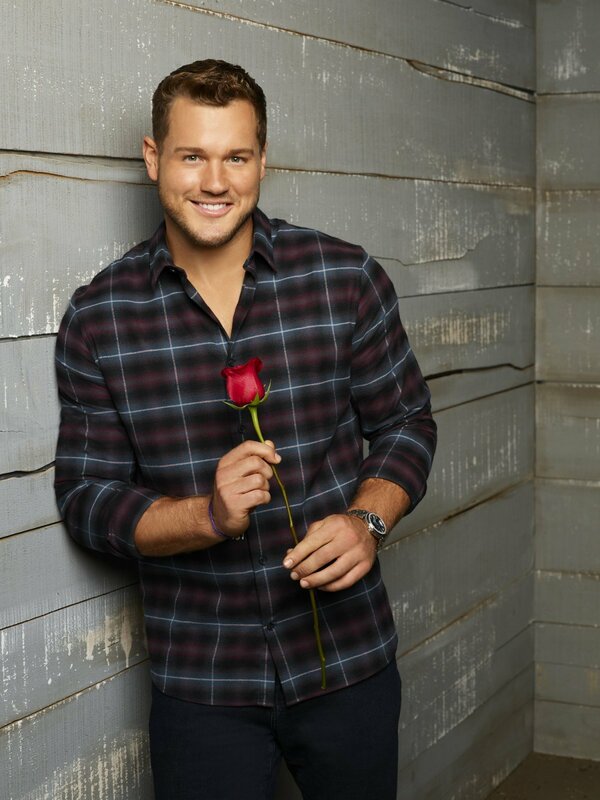 'The Bachelor' spoilers: Who did Colton Underwood pick in the finale? Did he propose to his bachelorette? Learn who Colton ended up with, his runner-ups, and more! The Bachelor spoilers reveal everything viewers want to know about Colton Underwood's upcoming season -- from which bachelorettes get eliminated at each episode's Rose Ceremony, to who Colton picks as his winner and runner-up. [Spoiler Warning: Please stop reading now if you are not interested in learning the finishing order of Colton's bachelorettes until Season 23 of The Bachelor airs on ABC in 2019 -- including if Colton is engaged, who he chose as his winner and ended up with, and what the status of his relationship with his final pick is now]. The Bachelor is set to premiere Monday, January 7 at 8PM ET/PT on ABC with a special three-hour event, but many fans don't want to wait until the season unfolds to find out what happens and who won Colton's heart! According to a recent podcast from Reality Steve spoiler blogger Steve Carbone, Catherine Agro, a 26-year-old DJ from Ft. Lauderdale, FL, and Onyeka Ehie, a 24-year-old IT risk consultant from Dallas, TX, will make waves on Night 1 by constantly interrupting Colton's time with other women. Catherine will reportedly become a villain early on, but she doesn't last very long in the season, and so Demi Burnett, a 23-year-old interior designer from Red Oak, TX, will eventually emerge as the replacement villain. The recipient of Colton's coveted First Impression Rose will reportedly be Hannah Godwin, a 23-year-old content creator from Birmingham, AL. Seven girls will be eliminated on Night 1, according to Carbone: Revian Chang, a 24-year-old esthetician from Santa Monica, CA; Tahzjuan Hawkins, a 25-year-old business development associate from Castle Pines, CO; Devin Gooden, a 23-year-old broadcast journalist from Medford, OR; Alex Dillon, a 23-year-old sloth from Boston, MA; Erin Landry, a 28-year-old Cinderella from Plano, TX; Adrianne "Jane" Aver, a 26-year-old social worker from West Hollywood, CA; and Laura Pellerito, a 26-year-old accountant from Dallas, TX. RELATED LINK: 'THE BACHELOR' SPOILERS: WHO DID COLTON PICK AS HIS FINAL WINNER? WHAT IS THE SHOCKING FINALE ENDING?! Episode 2 will reportedly feature Hannah Brown, a 23-year-old Miss Alabama 2018 from Tuscaloosa, AL, receiving a first one-on-one date with Colton, as well as two group dates. Heather Martin, a 22-year-old who has never been kissed from Carlsbad, CA, and Elyse Dehlbom, a 31-year-old makeup artist from Soldotna, AK, will each allegedly receive the rose up for grabs on the two group dates. After a cocktail party in which Demi shocks all the girls by showing up in a bathrobe, Colton will allegedly oust four more women: Alex Blumberg, a 29-year-old dog rescuer from Vancouver, British Columbia, Canada; Annie Reardon, a 23-year-old financial associate from New York, NY; Angelique Sherman, a 28-year-old marketing salesperson from Hamilton, NJ; and Erika McNutt, a 25-year-old recruiter from Encinitas, CA. Diving into Episode 3, Colton will embark on two group dates and a single one-on-one date. According to Carbone, the one-on-one date will go to Elyse. As for the two group dates, the women who will receive the roses are Caelynn Miller-Keyes, a 23-year-old Miss North Carolina 2018 from Charlotte, NC, and Nicole Lopez-Alvar, a 25-year-old social media coordinator from Miami, FL. One bachelorette, however, will reportedly quit during the afterparty of the second group date this week, and that person will be Caitlin Clemmens, a 25-year-old realtor from Toronto, Ontario, Canada. A little drama will also unfold in this episode when pasts collide. Caelynn and Hannah Brown, a 23-year-old beauty queen from Tuscaloosa Alabama, both competed for the title of Miss USA 2018, and Caelynn finished as the runner-up. Hannah, however, did not make the Top 15. At the Rose Ceremony, Colton will then reportedly choose to eliminate Catherine Agro, a 26-year-old DJ from Ft. Lauderdale, FL; Nina Bartula, a 30-year-old sales account manager from Raleigh, NC; and Brianna "Bri" Barnes, a 24-year-old model from Los Angeles, CA. The cuts will leave 15 bachelorettes still in the running for Colton's final rose. The group will reportedly travel overseas to Singapore and then Caelynn and Tayshia Adams, a 28-year-old phlebotomist from Corona Del Mar, CA, will both receive one-on-one dates. During her solo date, Caelynn will reportedly have a highly-anticipated conversation with Colton. Thirteen ladies will embark on a competitive group date with the 26-year-old charity founder and former professional football player, although Carbone is not sure about which woman received the group-date rose. Colton will then have to break two more hearts on the road to finding his perfect match, and so Courtney Curtis, a 23-year-old caterer from Atlanta, GA, and Tracy Shapoff, a 31-year-old wardrobe stylist from Los Angeles, CA, both get cut. Episode 5 of The Bachelor's upcoming 23rd season will reportedly take place in Thailand, with Cassie Randolph, a 23-year-old speech pathologist from Huntington Beach, CA, being chosen to accompany Colton on a one-on-one date. The other one-on-one date will allegedly go to Heather. And on the group date comprised of eight bachelorettes, Carbone says Hannah B. will earn the rose. Colton, however, apparently doesn't do all of the rejecting during his season. According to Carbone, Elyse decides to quit the show during this episode because she's just not feeling much of a spark with Colton. That will reportedly leave only two women roseless at the next Rose Ceremony, and those two cuts will be Onyeka and Nicole. Episode 6 of The Bachelor was reportedly filmed in Vietnam, where Colton embarked on one-on-one dates with Hannah G. as well as Kirpa Sudick, a 26-year-old dental hygienist from Whittier, CA. The rest of the bachelorettes will reportedly go on a group date, and then Demi will be eliminated after visiting Colton's hotel room. Carbone says Colton did not reciprocate Demi's strong feelings, and so he decided to let her go before the next Rose Ceremony. But again, Colton found himself at the mercy of his bachelorettes and their feelings for him when Sydney decides to quit the show because she was also missing a strong connection with The Bachelor star. Was Colton just not these ladies' cup of tea -- or was he so invested in one or two women that he didn't pursue anyone else hard enough to build lasting connections? Sydney Lotuaco, a 27-year-old NBA dancer from New York, NY, is reportedly the girl that quits the show in this episode. Katie Morton, a 26-year-old medical sales representative from Sherman Oaks, CA, is allegedly sent packing in this episode. In addition, Colton gets informed at one point that Caelynn and Cassie are not on the show for the right reasons because they were just looking to become the next The Bachelorette star. Moving on to Episode 7 with only seven girls left, three women reportedly receive a one-on-one date with Colton. Those women will be Tayshia, Caelynn and Hannah B. Unfortunately for Hannah B., however, she gets eliminated during her date, according to Carbone. Hannah G. reportedly receives the rose on this date, leaving a rose up for grabs between Kirpa and Cassie. At this point, Kirpa reportedly gets eliminated, but Carbone is unsure of whether she goes home in the traditional sense at a Rose Ceremony. WHICH BACHELORETTES MADE COLTON'S FINAL 4 AND WHO DID HE PICK? That will reportedly determine Colton's Final 4 bachelorettes: Caelynn, Cassie, Tayshia and Hannah G.
The women's round of hometown dates were allegedly filmed between October 27 and November 2. After those four women will be shown bringing Colton home to meet their families, Colton reportedly eliminates Caelynn in fourth place at a Rose Ceremony held in Los Angeles, CA. Carbone feels she will be the frontrunner to become the next Bachelorette. Carbone claims Colton then only accepted two of his planned three overnight Fantasy Suite dates in Sagres, Portugal -- the first with Tayshia and the second with Cassie. Colton allegedly determined after his date with Cassie that she was the only girl whom he wanted to continue dating and she had won his heart. "[Colton went on the date with Tayshia, the overnight date, [and] went on the overnight date with Cassie. And as I was told, something happened on that overnight date that made Colton want to be with Cassie and basically end the show," Carbone said in his Reality Steve podcast. Cassie's overnight date with Colton allegedly filmed on November 8, two days after Tayshia's Fantasy Suite night. But according to Carbone, Cassie allegedly told Colton that she wasn't interested in sticking around to receive a Neil Lane diamond ring from him. "Cassie told him, 'I don't want to be engaged,'" Carbone revealed in his podcast earlier this month. "She essentially pulled a [Peter Kraus]. Like, 'I'm 23, I don't want -- I don't want to be engaged.' And I'm being told, and I can't 100 percent confirm this, but I'm being told this is where the fence jump happened. Because on that overnight date, Cassie left the show." As Bachelor Nation is well aware thanks to a trailer previously released by ABC, Colton reached a point of such anger and frustration at some point in his season that he jumped a six-foot tall fence to escape The Bachelor host Chris Harrison, who was left calling for him several feet away. Colton was shown swearing and saying, "I'm done," on his way out. "Cassie leaves the show on her overnight date because she doesn't want to be engaged. And Colton, obviously, is very upset," Carbone explained. Colton reportedly never went on an overnight date with Hannah G. -- although she allegedly has a good shot to become the next The Bachelorette star -- and decided to dump both Hannah G. and Tayshia despite his final pick, Cassie, quitting the show and going home. According to Carbone, Cassie actually returned home to California after she decided to leave the show -- and Colton then also returned to America and essentially chased her down. The Bachelor's production crew then reportedly filmed Colton tracking Cassie down in the Los Angeles area and telling her he still wanted to be with her whether or not they get engaged. Colton's desperate plea reportedly resulted in the couple choosing to continue dating together and taking an engagement off the table since Cassie is only 23 years old. "I don't know how many days after [Cassie] left [Portugal it was], but they filmed something in [Los Angeles]. I'm assuming [in] Huntington Beach, where Cassie lives, because she lives with her parents in Huntington Beach," Carbone said. "They filmed something in the States, where Colton comes to Cassie and basically says, 'We don't need to be engaged, but I want to be with you.' And that's where we are for right now." SO ARE COLTON AND CASSIE STILL TOGETHER? Carbone said Colton and Cassie now plan to continue dating for the next three to four months and see how things go between them. Fans, as always, will receive an update on their relationship on the March broadcast of The Bachelor: After the Final Rose. "My guess is Cassie is very young, and her feeling of, back in November, telling Colton, 'I'm not ready to be engaged,' [is] probably still going to stand in March. But that's just a guess. We'll see what happens," Carbone predicted. Carbone concluded his podcast by apologizing for previously incorrectly reporting Colton and Cassie were engaged. "I apologize for reporting that they are engaged. They are not," Carbone said, referring to his initial set of spoilers that he had to correct. "But he definitely chose Cassie, and they are definitely seeing each other, and have been seeing each other since the end of filming." Carbone had been hearing Cassie was likely to be Colton's winner since mid-October, writing in his blog that he would be "stunned" if she didn't receive his final rose. A true native Californian, Cassie grew up at the beach and is an avid surfer. She is currently an ESL (English as a Second Language) teacher at an adult school. She is also completing her degree in speech pathology and hopes to one day open up a private practice to work with kids. Cassie graduated from Biola University in 2016 with a B.S. in Communication Sciences. Her sister Michelle is apparently dating Gregg Sulkin, who was previously linked to actress Bella Thorne. Chris Harrison -- who said Colton's season will be "gut-wrenching" and a "wild ride" -- also recently said Cassie has "the brains" to back up her looks and she's "sweet and beautiful."